Our latest album to be released. Special guests include Alison Krauss, Mo Pitney and Jim VanCleve. Another fine project by the Harmans. 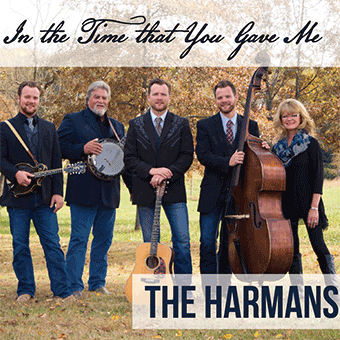 We’ve had the opportunity to see the Harman Boys grow up playing bluegrass. They never cease to amaze, their instrumentation is second to none, along with their vocals. This album has a bit of everything from the bluegrass classics like “Two Little Boys” & John Hartford’s “Gentle on My Mind” to rock & roll classic, Gregg Allman’s “Midnight Rider” & Lennon & McCartney’s “I Feel Fine” to the country sounds of Don Gibson’s “Oh Lonesome Me” and a fine instrumental version of “Grandfather’s Clock” with Jeff Harman’s bass solo thrown in. Did I mention some Gospel too. All done in the true style of bluegrass. If you’re looking for an album that has it all, “In the Time You Gave Me” should be on your list. 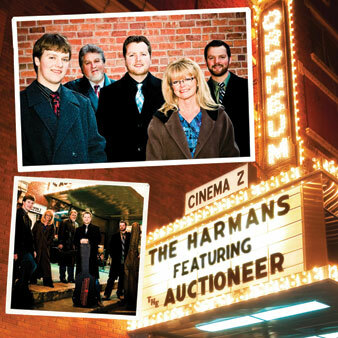 I guarantee you won’t be disappointed with the Harman’s latest CD. I think the song Speaks to all of us. Have we really done all we could do with the time God has given us, really speaks to my heart. 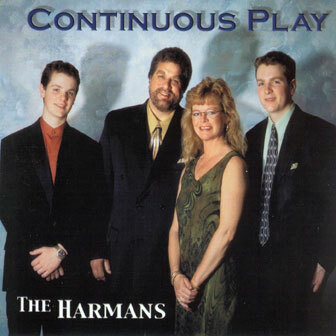 I really enjoy the Harmans, and think they do a great job with all their songs. A really talented family. If all of us lived by that song then it would be a much better place and I don’ think another Family could do it better. Live each day like it’s your last and get er done. 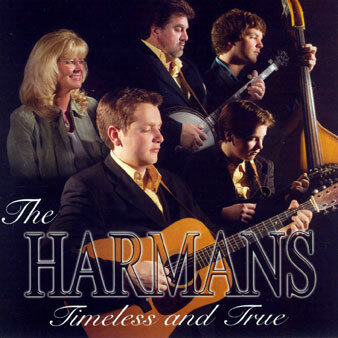 Nov 1, 2018: Time: 6:20 p. m.
I wanted so very much to attend the Harman Concert tonight at 7:00 p. m. in Shipman, but because it was my Grandsons’ 29th birthday, my son and I made the long trek to Middleton, Missouri, which wore me out even though I didn’t do anything! I must say, God blessed this earth when he created the Harman Family. They belong in the Guinness Book of Records! They are unbeatable, incredible, and “Unstoppable.” All of them bring so very much joy to my life! 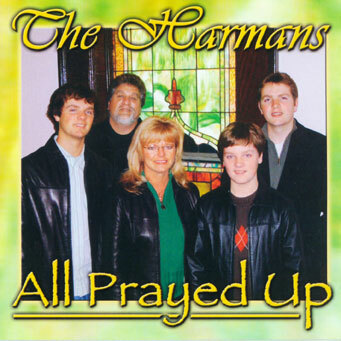 The Harman Family are a Gift from Heaven, and seeing them, hearing them, is about the next thing to receiving Holy Communion! Their talent as a whole, their caliber, their morals, their code of ethics serve to remind us that America has not been Lost! These are people whom do not lie, cheat, steal, murder, do dope and all that other crazy stuff. The entire family serves as the best kind of mentor one could have. And Dad? Not only can he play any kind of musical instrument, he taught those kids the value of HARD WORK! Nobody handed this family anything (except God, himself through creation). Whatever this family achieved and/or continues to achieve, THEY WORKED FOR IT! Is is doubtful that anyone will ever find such a unique, talented, honest, highly principled, hard working family on this planet whom could even think about being compared to the Harman Family. I don’t know how their bodies can withstand the schedule they keep! This fact, alone, shows how this family perseveres, strives, and they most certainly give thanks to Our Lord, for all of their blessings!